Megan Schenck is the proud Broker and Owner of Three Lagoons Realty. She has a passion for sales & marketing and a love for real estate and the city she resides in, Carlsbad, CA. Opening her own brokerage has been her dream and she is ecstatic to service the Carlsbad community. She has a natural ability for sales and building relationships. There is no greater satisfaction than being a positive impact on a major life change such as buying and selling a home. 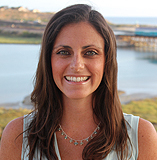 Megan is a San Diego State University alumni with a Bachelor of Arts in Psychology. She also studied abroad in Melbourne, Australia where she ended up meeting her husband, Andrew. She highly believes in studying abroad and understands the importance of learning about new cultures, getting out of your comfort zone, meeting new people and making memorable, life-impacting experiences. After college Megan obtained her Real Estate Sales License and was hired at KB Home in San Diego, CA. She worked in various positions as an Inside Sales Associate and Broker Liaison. She gained an in-depth understanding of new home construction, working with buyers, financing, and the importance of working with Real Estate Agents. Her territory began in San Diego and soon expanded to Orange County and Riverside County. She gained additional sales experience working in Corporate America as an Account Manager calling on Public Agencies throughout San Diego and Orange County. She acquired sales skills such as cold calling, finding new business & opportunities, closing sales, and how to think strategically. Wanting to fulfill her life long dream of owning her own real estate brokerage she obtained her Brokers License and decided it was time for the next chapter in her life. Shortly after Three Lagoons Realty was born. Megan puts a huge emphasis on education and strongly believes in continually educating herself on new technologies and learning from others experience. To continue her education she received her Broker Price Opinion Resource (BPOR) certification, her Short Sale & Foreclosure Resource (SFR) certification, and frequently participates in webinars, live classes, sales seminars, & reads nightly to stay on top of new practices, ideas and to constantly improve herself and business. She also firmly believes in the importance of community and getting involved. 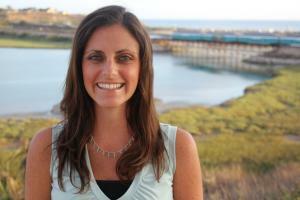 She is an active member of the Carlsbad Chamber of Commerce and the Agua Hedionda Lagoon Foundation. Three Lagoons Realty is also proud to be a certified Woman-Owned Small Business and Women Minority Business Enterprise. Megan and her family (husband Andrew, sons Reid, Wesley & Boston Terrier Sydney) reside in Carlsbad, CA. She adamantly believes this area is the best place to live in the entire world. The strong sense of community, top-rated schools, the gorgeous beaches, trails, and parks enhance the quality of life and make this their permanent home. When Megan is not working you will find her with her family hiking the local trails, kayaking at the beach & lagoons, or enjoying the shops and restaurants in Carlsbad Village or along the coast. San Diego County has so much to offer for every interest. This is the perfect place to raise a family & enjoy life. Her core value and motto in business and in life is "Do to others as you want done to you." She constantly uses this phase throughout all decisions and this has got her to where she is today.